General Colin L. Powell, USA (Ret.) 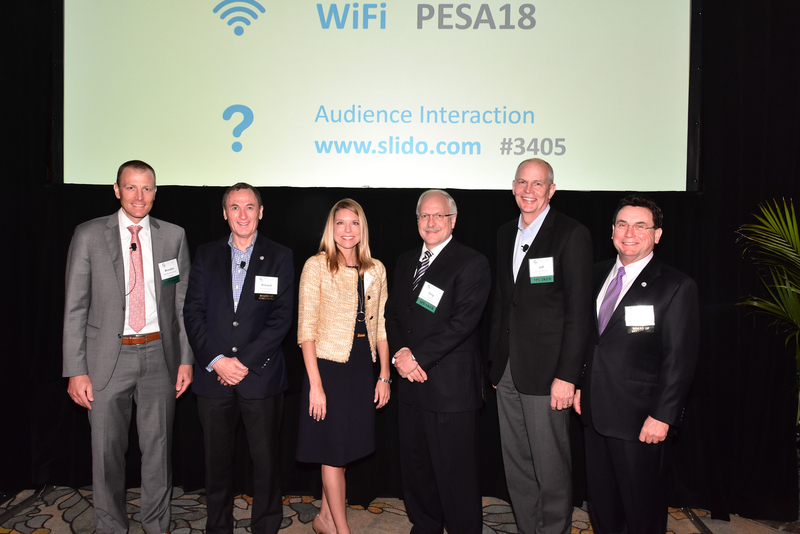 speaks to industry leaders and executives at the PESA 2018 Annual Meeting. 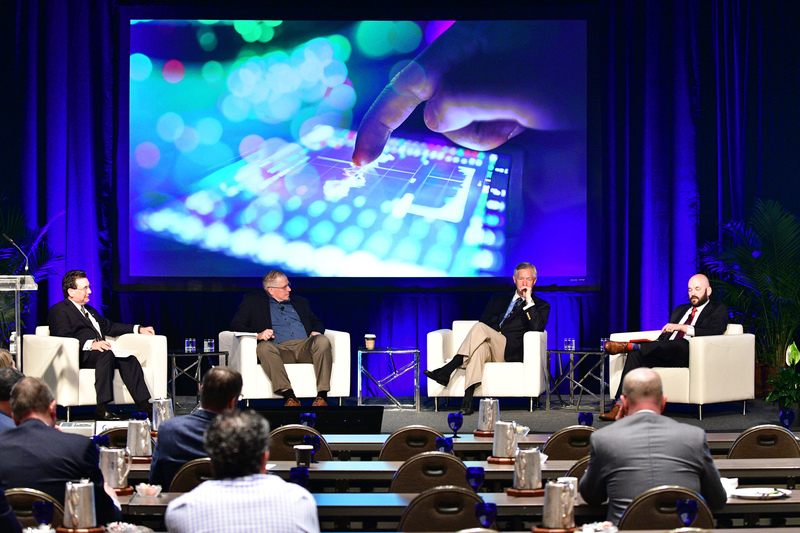 PESA’s 2018 Annual Meeting focused on opportunities for the upstream industry in the current evolving global energy market, with thoughtful discussions ranging from oil price volatility to diversity and the energy sector’s future. 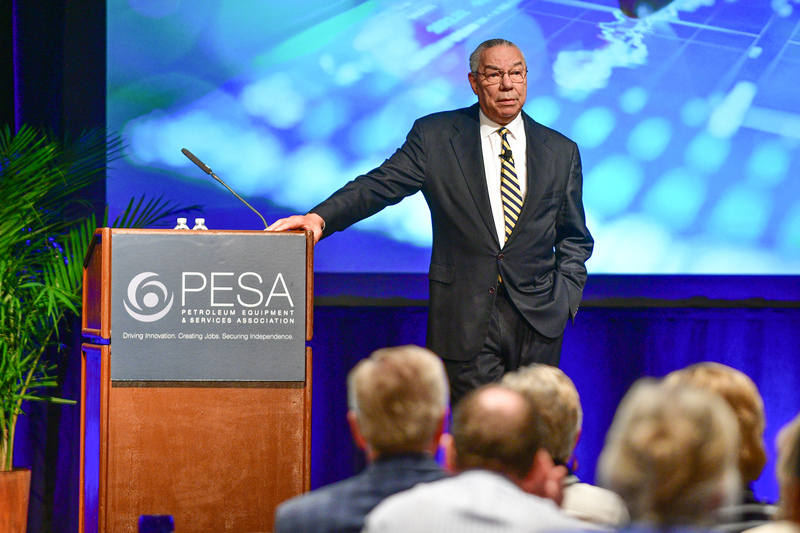 Keynote speaker General Colin L. Powell, USA (Ret.) kicked off the meeting Wednesday with a challenge to PESA members and our leadership role in the global economy. Powell also gave an overview of current diplomatic challenges around the world, including particular focus on China and Russia. Powell said that while U.S. military strategy is clear, foreign and domestic policies need to be clarified. 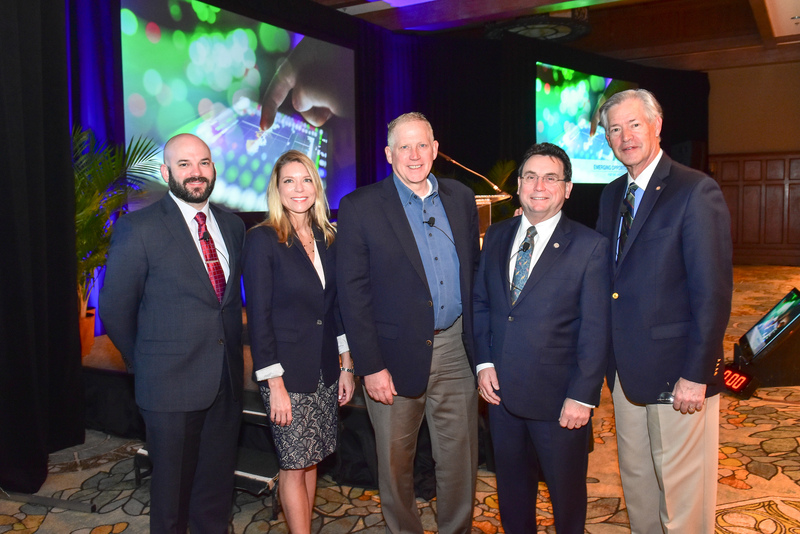 Incoming PESA Chairman Dan Domeracki, Vice President, Government, Industry & Global Stewardship, Schlumberger, opened the meeting on Thursday by highlighting the strength of PESA Members’ combined voice in the industry. Domeracki stressed that this voice also comes with responsibilities both to the industry and individual companies. 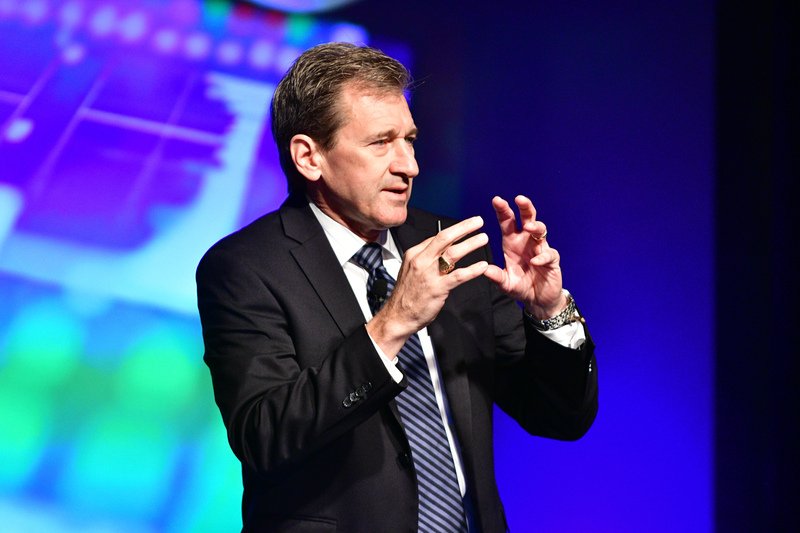 He challenged executives to attend the 2018 Executive Fly-In during September, stating the need for a broad mix of companies. 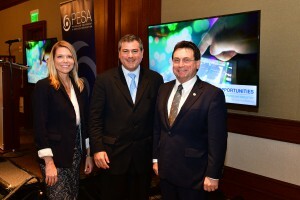 “As PESA’s voice grows, and we use it responsibly, one of the things that we can do is to spend time working through these organizations and directly with the operators, our customers, to help align and coordinate the key issues that we’re going to champion,” Domeracki said. PESA President Leslie Beyer also provided an update about the Association. Beyer outlined PESA Committee activities and goals for the coming year in all 16 PESA committees and Regional District Chapters, and encouraged Member Companies to be active in all PESA programs. 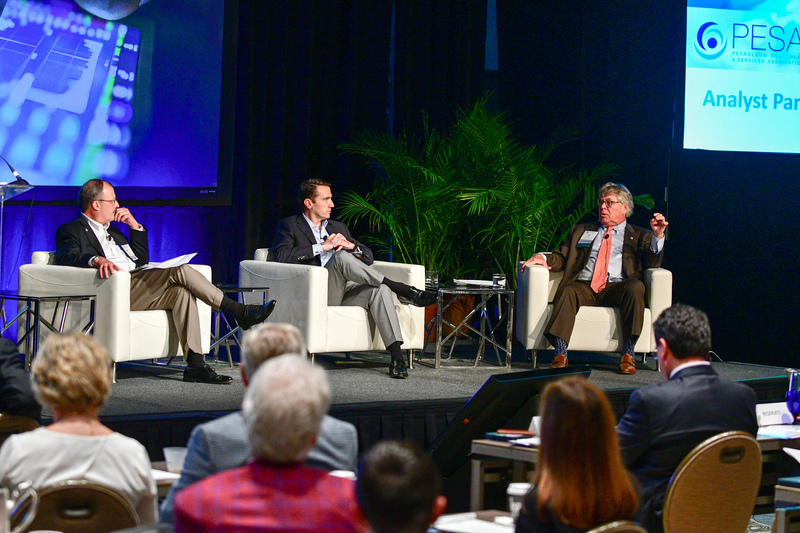 Thursday’s upstream panel offered perspectives from Jeff Shellebarger, President, Chevron North America Exploration and Production Company; Greg Hill, President & COO, Hess Corporation; and Brendan McCracken, Vice President and General Manager, Northern Operations, Encana. 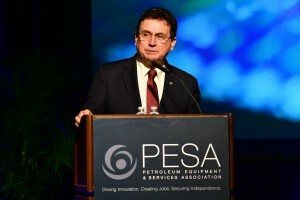 PESA Vice Chair Richard Alabaster, President – Surface Technology, TechnipFMC, moderated. 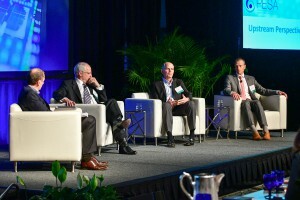 Overall, the speakers were optimistic the industry has hit the bottom of the downturn and foresee oil prices stabilizing. 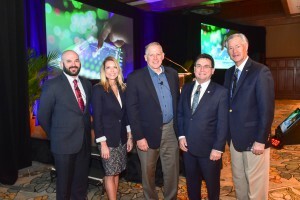 Shellebarger said he believes the changes industry has made during this downturn have been sustainable, as they involved targeted execution of efficiencies in business operations. “You have got to work on the efficiency side of the equation, and that should remain part of the business regardless of where oil price goes from here. We also need to take a real look at existing breakthrough technologies in other industries that have applications in our business and adopt them simultaneously,” he said. Hill cited the length of previous downturns and said this is the first time in the history of the industry that a downturn has lasted this long. 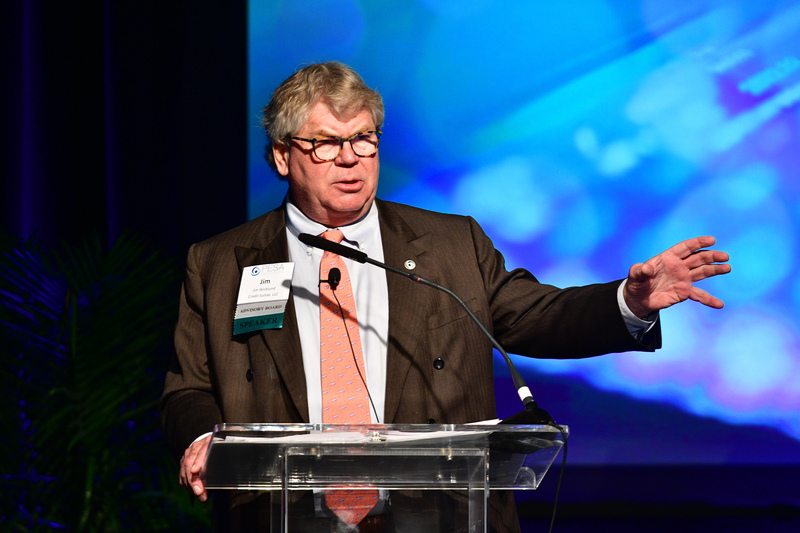 Hill said he believes that investors in unconventionals will soon demand a return, and that long cycle times will take years before production of recent offshore discoveries hit the market. Supply chain stresses will also cause prices to increase. “Shame on us if we squander a higher price, because I think we have done amazing things in eliminating waste and capitalizing efficiencies. I just hope that we stand together as an industry to continue that,” Hill said. McCracken agreed, stating that industry’s collective focus on discipline and innovation has upended the global energy landscape. “It’s been producers and the service and supply industry that together have reset the cost structure efficiencies and profitability of our industry,” he said. 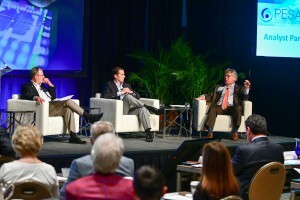 In response to an audience question about when the industry would start a more robust exploration of deepwater, Hill replied that deepwater exploration has driven his company’s strategy. “Our belief in the future is that you are going to need both unconventionals and deepwater offshore production. The signs of recovery are really starting to happen,” Hill said. 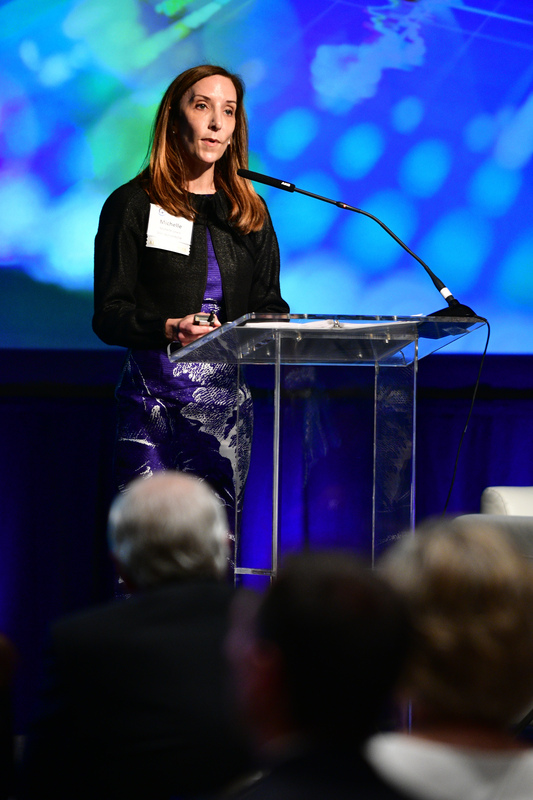 Michelle Lewis, Chief Strategy Officer, DistributionNOW, presented the results of a groundbreaking diversity study from PESA’s Engagement Committee that analyzes the current state of female talent in the oil and gas industry. As part of PESA’s commitment to bring a greater diversity of thought into our organization, companies and industry, the study takes a careful, analytical approach to establish diversity metrics specific to the oilfield service and supply sector. One of the ways to advance and encourage interest in the industry is to determine the reason behind low female recruitment and retention numbers, and craft sector-relevant solutions. 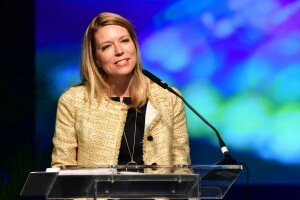 “We believe PESA companies can benefit by advancing the understanding of diversity efforts and continuing to make our sector a great career option for women and men alike,” she said. The Analyst Panel, moderated by Kirk Shelton, President, NOV Completion & Production Solutions, engaged the speakers on an outlook of the industry, with both speakers forecasting multi-year growth in global D&C spending, with robust onshore spending and E&P capital spending that will further demand for oil services. For the near term, however, Jim Wicklund, Managing Director – Energy Research, Credit Suisse, cautioned the sector to avoid overbuilding and to rely on capital discipline. “Investors are scared to death that you guys will overbuild, and the whole cycle is going to roll over,” he said. Jud Bailey, Managing Director, Senior Equity Analyst and Head of Oil Services & Equipment Research, Wells Fargo Securities, agreed, saying that even through oil prices have increased, earnings estimates for a lot of service companies have gone down. “Generally, stocks are going to follow earnings. If you want investors to look at an industry that’s going to be more stable and have a return profile, they need to be comfortable with the management, cash flows and returns,” he said. Both analysts forecast a decrease in offshore spending, and Shelton asked what would trigger an incremental spend in that market. In response to an audience question about how markets view the oil and gas sector, Wicklund said that most portfolio managers view energy as an afterthought. As to how that would effect the mergers and acquisition market, Bailey said that companies are going to have to be disciplined and clearly articulate how they want to allocate capital. PESA’s first-ever ESG panel featured commentary from John Mingé, Chairman & President, BP America; Stephen Arbogast, Director, Kenan-Flagler Energy Center, University of North Carolina; and Greg Gershuny, Managing Director, Energy and Environment, Aspen Institute. PESA Chairman Dan Domeracki, Vice President, Government, Industry & Global Stewardship, Schlumberger, moderated. With relation to the industry’s corporate social responsibility efforts, the panelists agreed that oil and gas production has a long life ahead and this must be an area of focus as the industry evolves. The challenge that the world faces with climate change shows up in many areas of education, transition to renewable energy and sustainability. From an ESG point of view, how the customers of the service sector are responding to these pressures and what they can do to align themselves with their customers will ultimately be good for business. “There will be many opportunities for you to provide solutions to your major customers,” Arbogast said. The speakers acknowledged that the energy conversation is changing. And the climate conversation itself is not going to go away, Mingé said. It’s just going to get more intense. “If I were a service company right now, I’d understand my own footprint, but I’d start to look at the operators. If they’re going to start focusing on this, where are those emissions? What areas of expertise do we have, and how can we help them at the lowest possible cost and the highest capital efficiency?” Mingé said. Arbogast recommended that service and supply companies examine the carbon tax issue, and what opportunities would exist with a level playing field. The great thing about a carbon tax is that it allows the technology to evolve. Technology is going to be a major contributor to the solution of this problem,” Arbogast said. As companies are looking to the future, the panelists urged investment in STEM education, because the students of today are going to be the policy influencers of the next generation. It’s important for students to see the broader spectrum of the business of energy. 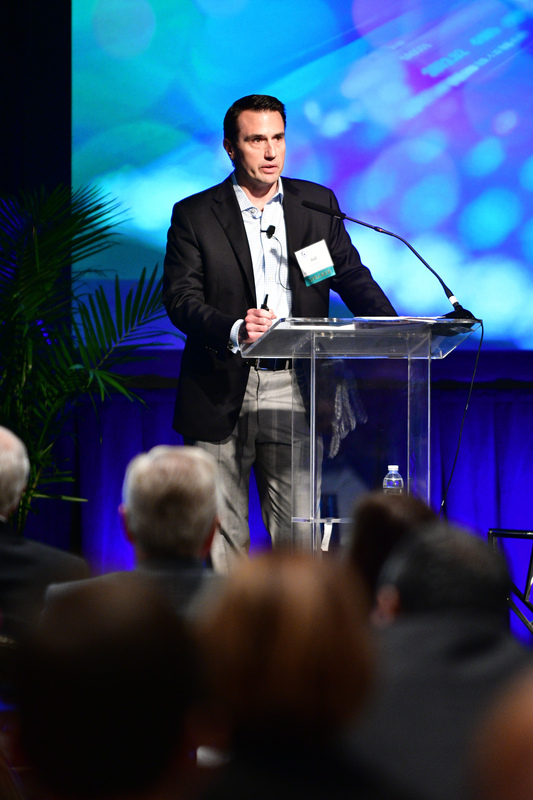 Dr. Scott Tinker, Bureau of Economic Geology, University of Texas at Austin, spoke to the audience about the changing energy industry and how energy policy and technology can lift emerging communities out of poverty. “But the reality is that most people don’t know how electricity is made or where gasoline comes from,” he said. Tinker said there are arguments on both sides of the equation, with some thinking that climate change is the most important issue of the moment, and fossil fuels are the problem, with others thinking that poverty is the most important issue of the moment, and fossil fuels are the solution. The challenge is to seek the middle through civil discourse. Things such as electric cars aren’t going to solve the emissions problem, he said, because they still have to be charged and that energy has to come from somewhere. Then you add in the additional problems of the scarcity of rare-earth elements and worn-out technology. Nothing at scale is without environmental impact in the energy world. Environmentalists are getting duped by the bad conversation,” Tinker said. Only by bringing together those on each side of the discussion spectrum – environmentalists and fossil fuel proponents – into civil discourse in the radical middle, will we begin to have intelligent conversations about energy, he said. Jason Bordoff, Professor of Professional Practice in International and Public Affairs Founding Director, Center on Global Energy Policy Columbia University, gave the last keynote address at the meeting, and reiterated what some other speakers had mentioned, which is that the global energy sector is in transition. “As we all know, U.S. shale has disrupted the oil world,” Bordoff said. But shale production is more uncertain in the longer term. U.S. shale projections vary widely, he said, and the price elasticity is highly uncertain. “The future trajectory of U.S. shale production will greatly depend on oil prices and futures curve, cost inflation and deflation trends, technology and productivity gains, and capital market conditions,” he said. The natural gas trade, he said, is switching to more flexible liquid natural gas (LNG), and that product is finding markets around the world. But the catch is that buyers are reluctant to sign long-term deals, so the producers are unable to sanction new projects. The next LNG markets will likely be China, India and Europe. Bordoff said that he expects the markets will trump policy constraints. Scrapping the Clean Power Plan and revising the five-year leasing plans in Alaska will not bring back coal or drilling to Alaska at current price points, he said. “Easing oil and gas production rules may help on the margin, but production growth is already strong thanks to productivity and technology gains,” he said. 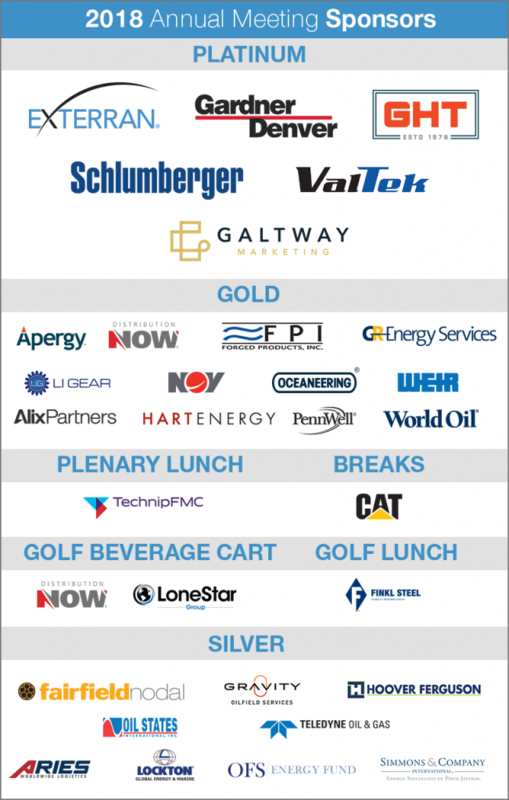 PESA would like to thank all participants and sponsors of the event. Plans are underway right now for the 2019 Annual Meeting in San Diego. Registration is currently open, and we hope to see you there!